After reading the Spring/Summer 2016 issue, my memory was jogged about my pride on that day in May 1986. I was 43 years old and had finally earned my bachelor’s degree and a place on the Dean’s List. I earned a living in the arts—graphic arts—in many positions in advertising and public relations firms, corporate advertising departments, printing companies and finally had my own design firm for several years. My final position was with an adoption agency providing post-adoption services to families in three rural counties of California. 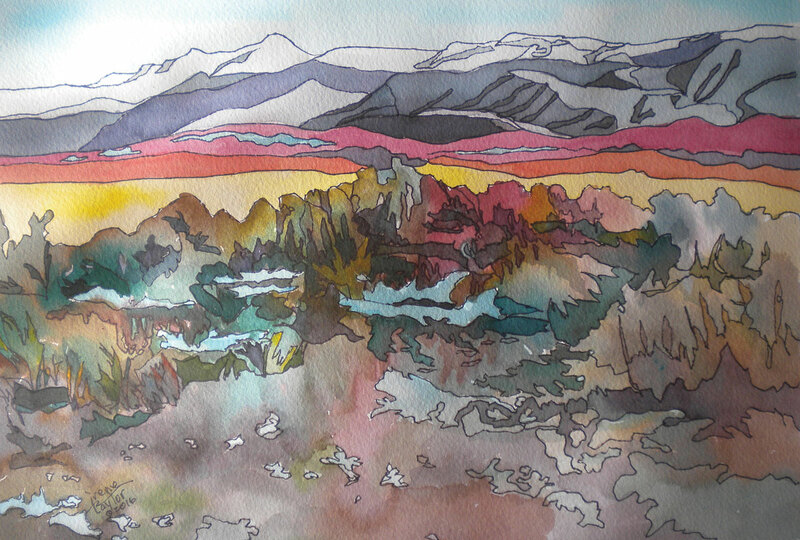 Now happily retired, I am a watercolorist—back to my roots from classes at SJSU. I am finding a bit of success showing my art, winning ribbons and selling my work. I have attached a recent watercolor called Pinenut Winter Melt, 2016. I hope you enjoy it. When I graduated more than a year ago with a degree in health science, I felt ready to take on the world. After a year of working in Uganda, I realized I was unprepared for the realities of health disparities, political roadblocks, budgetary limitations and bad timing. Every once in a while, you connect with someone. In that connection, something is exchanged that can cause improvements in their lives, the lives of their families, the lives of their community and your life. I learned that joy will come if I persevere and just keep plodding along. Read the story of how this Ugandan mother inspired Duffy. 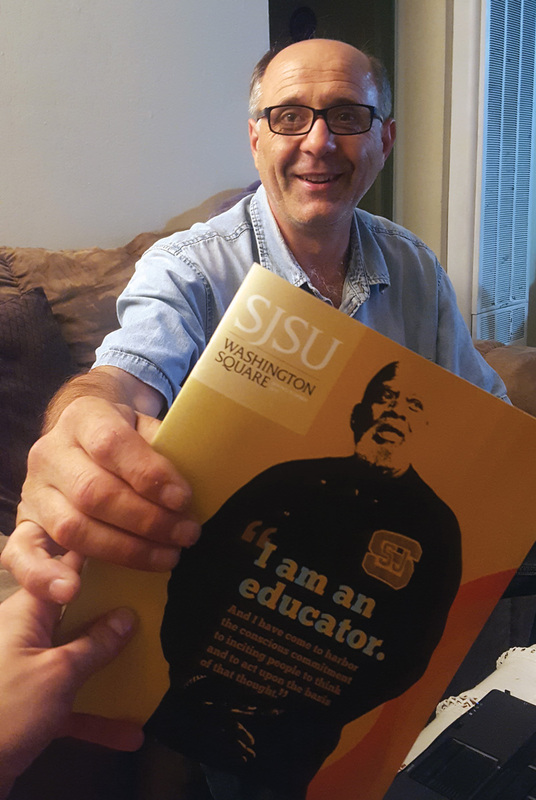 I particularly appreciated your spring issue of Washington Square with the story about Harry Edwards, Tommie Smith, Lee Evans, John Carlos and the others. I was the Methodist campus minister at San Jose State when Edwards and Ken Noel—who never gets the recognition that he deserves for his role in those affairs—began their protest at the opening of the 1967 school year. It created a storm that went far beyond the walls of our own campus. San Jose State has a proud history in matters such as those. SJSU and its leaders have never received the recognition they deserve. I believe the leaders became beacons to show others the way things ought to be done. Perhaps SJSU’s greatest contribution over the years is never having been bound by the status quo. I was surprised and disappointed that your coverage had no mention of any Paralympians, or Paralympics. I had considered my alma mater as having a progressive and good awareness of disability and openness, but perhaps not. Or perhaps the story was not thoroughly investigated. Our apologies. You’re absolutely right. We are gathering information on this important part of SJSU’s legacy. Anyone with information may write to us. —Ed. Wow! I am impressed with the spring/summer 2016 edition! I haven’t been on campus for some time. Now I have an incentive to see the changes and remodeling. I enjoy seeing the names of the photographers and writers. It would be great if Washington Square would print a brief profile on each of the people behind the people in the articles that appear in the magazine. There is a gold mine of talent in Washington Square. We got our latest issue of the WSQ and we look forward to reading it and enjoying the beautifully designed layouts. My father is convinced that he is San Jose State’s most recognizable figure. We see the resemblance. Thanks for sharing. —Ed.